Fall in Southern California is a strange phenomenon. It can be 90 degrees on the coast one day and 66 the next. We’ve run the gamut this year. Humid, yep. Dry, totally. Chilly, not enough for my liking but, sure. Hot, definitely. I love living here, there is nothing like a fall sunset in Encinitas, it is a gorgeous sight to behold. We don’t, however, get that chill in the air that most associate with the beginning of this beautiful season. Therefore, we need to create a sense of it ourselves, in our homes, in our kitchens. I get really excited about soups, like ridiculously so. I think homemade soup is such a wonderful thing to have in the refrigerator. My husband works odd hours, so he loves when there is something easy for him to reheat and enjoy when he gets home. 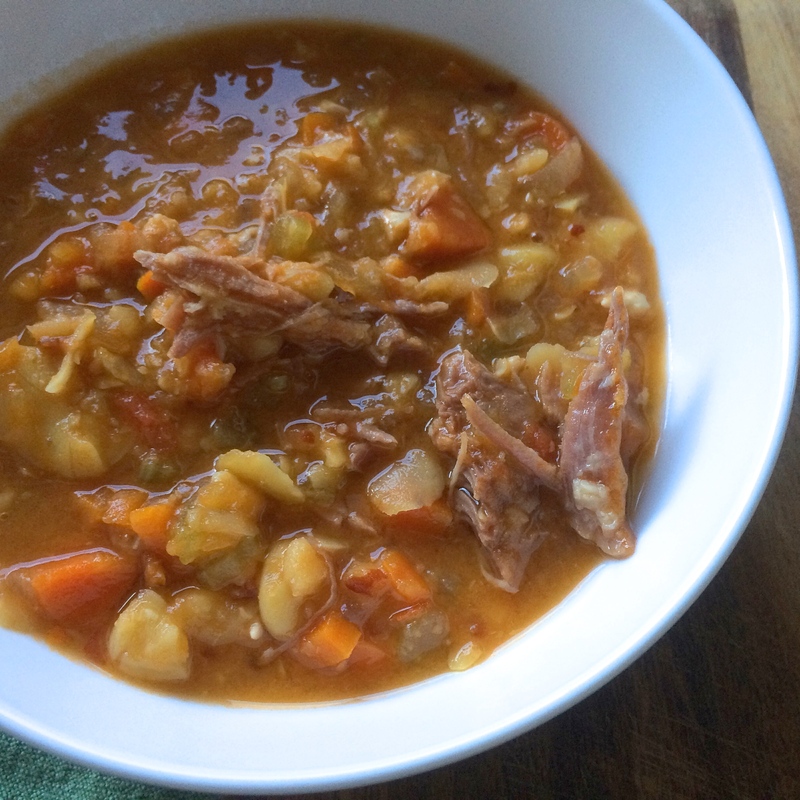 Soups are also one of those heavenly dishes that are usually better the day after you make them. I’ve decided that, over the next year, I am going to cook my way through one of my favorite soup cookbooks. It is a tiny little thing, but everything I’ve made from it so far has huge flavor. Zuppe is collection of recipes from the kitchen of The American Academy in Rome. The author, Mona Talbott, has broken the book down by season with about 11-15 recipes per season. I’m going to start with the first recipe and make one a week, in order, over the next year. While I am planning to blog some of my favorites, including this first one, I won’t be blogging all of them. I encourage you to buy the little book (proceeds support the Rome Sustainable Food Project) and follow along with me on social media, sharing your stories and pictures. 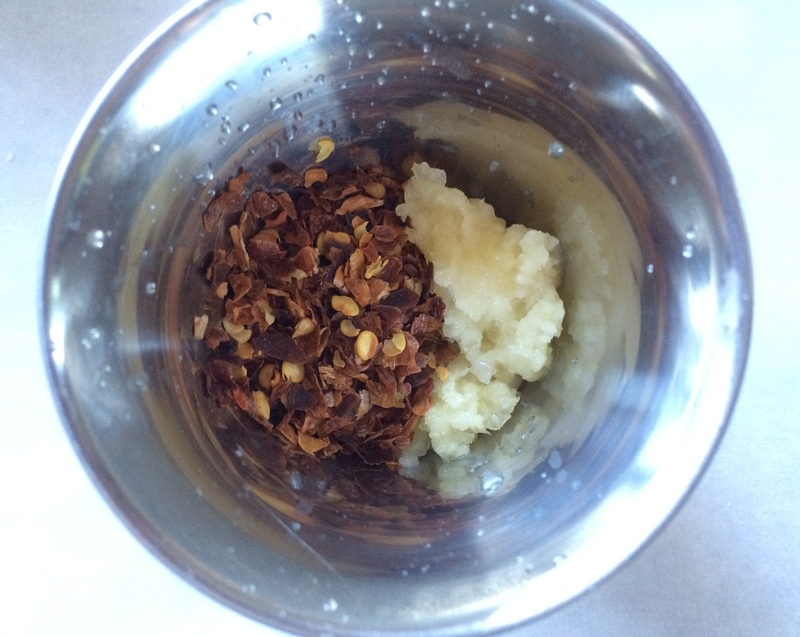 Of course, I’ll still blog other recipes. With the holidays coming up, I have a ton to share! 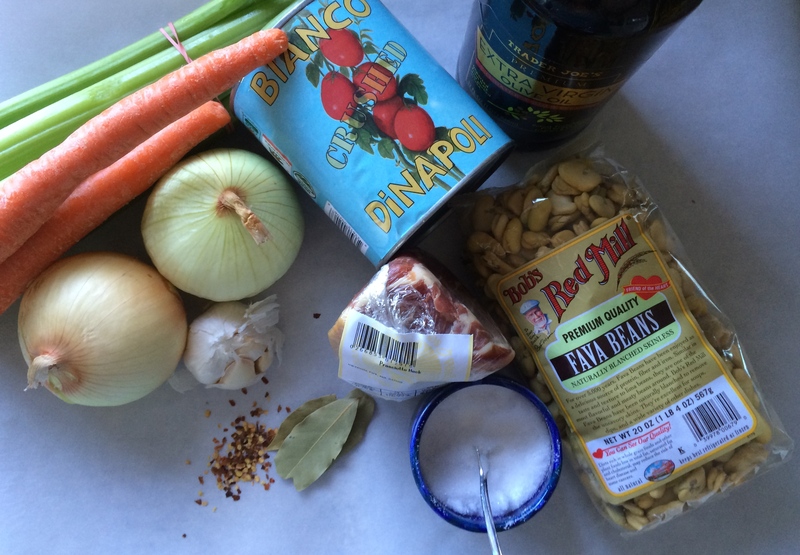 Fava Bean & Proscuitto Soup adapted from Zuppe by Mona Talbott. Serves 4 to 6. 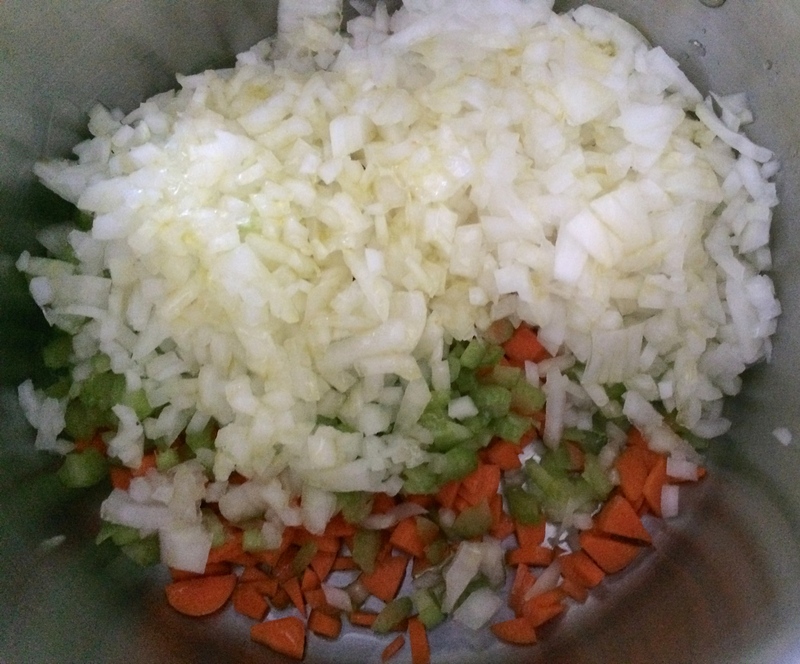 Peel and cut the onions, celery and carrots into a small dice. Peel and finely chop the garlic. 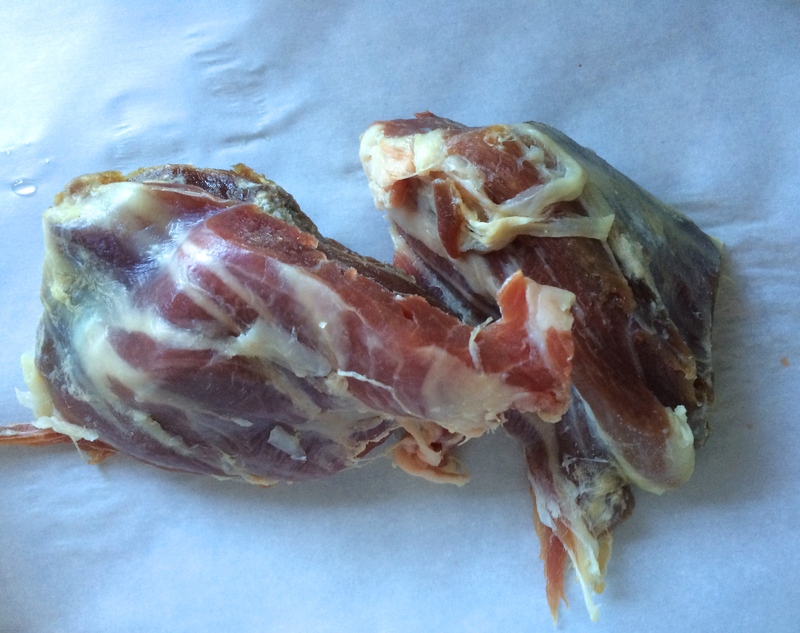 Cut the prosciutto shank in half. Over low heat, in a 6-qt. stockpot, cook the onion, celery and carrots in olive oil until the vegetables are coated in oil and glistening. Add a pinch of salt and cook until tender, about 5 more minutes. Add the garlic and dried pepper flakes to the pan, stir and cook for 2 minutes. Add the tomatoes and bay leaves, stir and simmer for 5 more minutes. Add the fava beans and proscuitto to the vegetables. Cover with 3 quarts of cold water. Bring soup to a boil and reduce to a simmer. Cook for about 3 hours, stirring occasionally, until the fava beans have softened and the soup has a creamy texture. Remove bay leaves and discard. 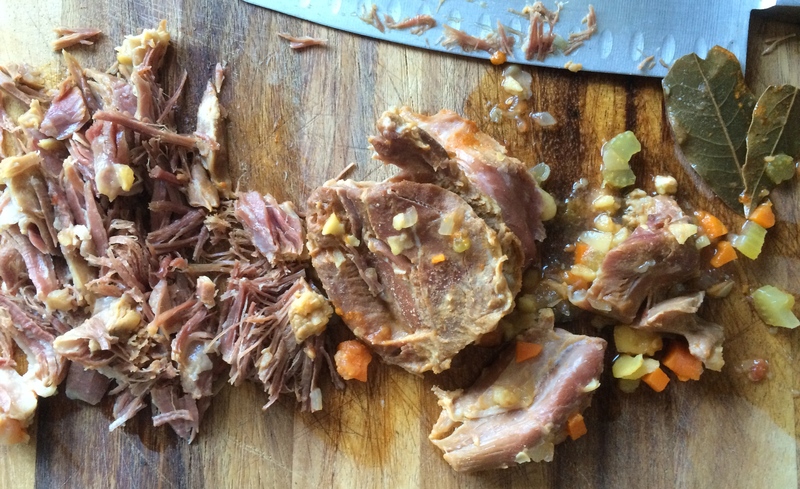 Remove the tender proscuitto and cut into small pieces (it will really just fall apart), return it to the soup. Taste and re-season with salt if necessary (be sure to taste it first, the prosciutto adds quite a bit of saltiness). The soup will thicken as it cools, you may need to thin with water when reheating. 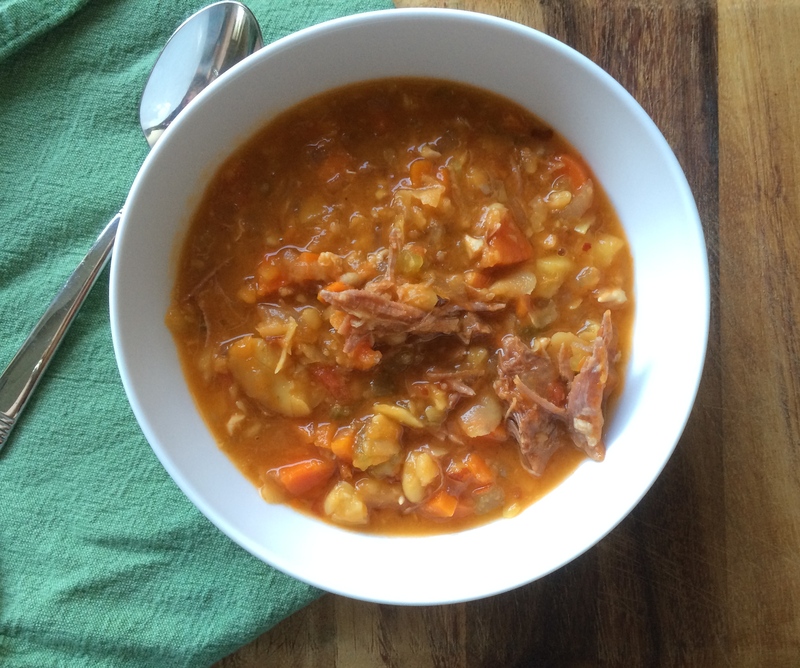 A delicious, hearty fall soup! Sign up to receive email updates for the blog! Also, follow along with my Zuppe Challenge on social media! Instagram: @TheIncidentalSpoon, Twitter: @IncidentalSpoon and Facebook: The Incidental Spoon. 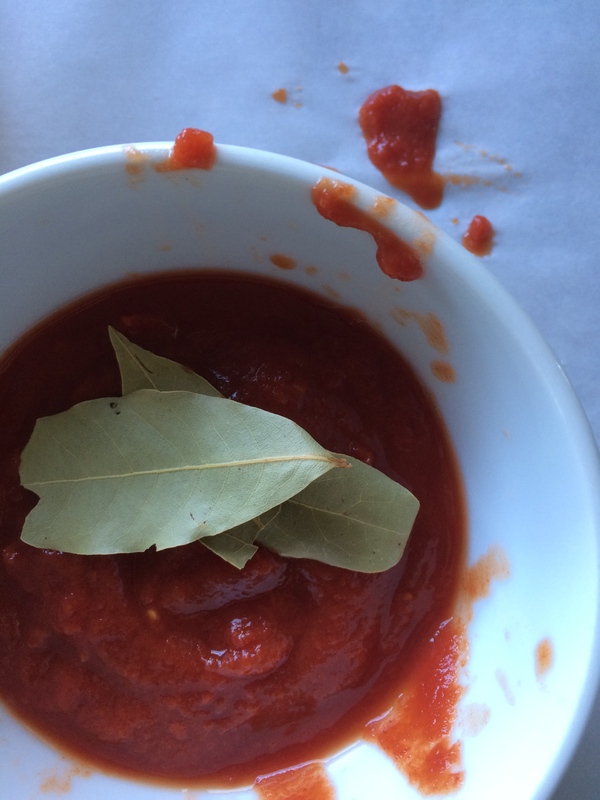 Be sure to share your pictures and stories with #TheIncidentalSpoon. so happy to see an Incidental Spoon post in my inbox today! welcome back, we’ve all missed you! This looks incredible. Will be putting the cookbook on my Xmas list for sure! I’ve been trying to figure out something for green fava beans. All soups recommend yellow any thoughts? 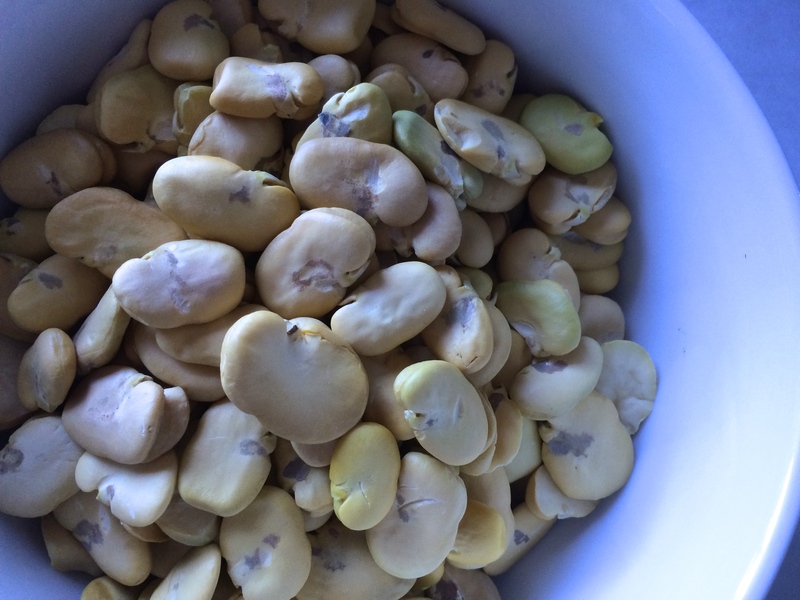 I love using fresh favas in a salad or pureed for a fresh green dip. They’re really just awesome on their own with olive oil and salt. 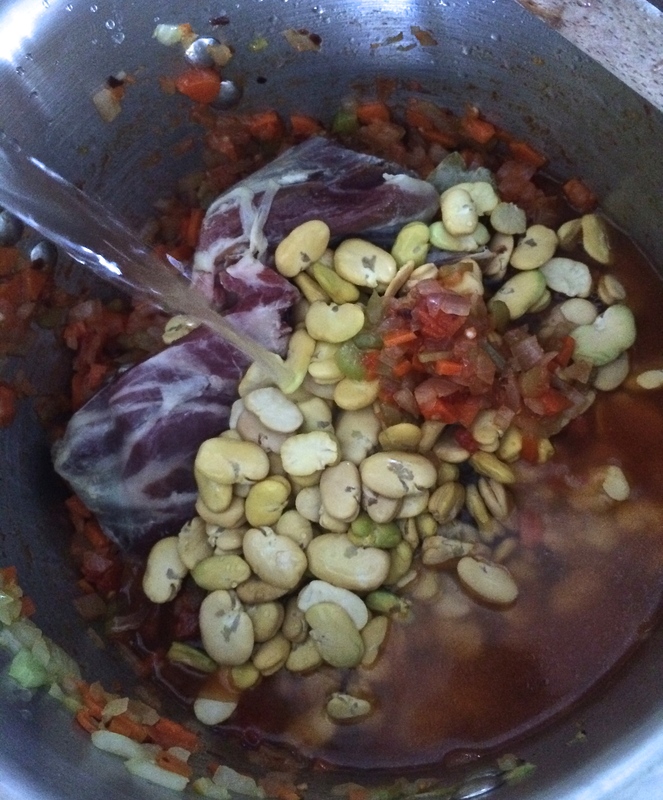 Most soups do call for the dried beans.